Ocracoke is a 19 mile long ½ mile wide island known for its beautiful beaches and world class fishing tournaments. There are 600 year round residents and the island generally sits only 5 feet above sea level. There is a single paved road that runs the length of the island . 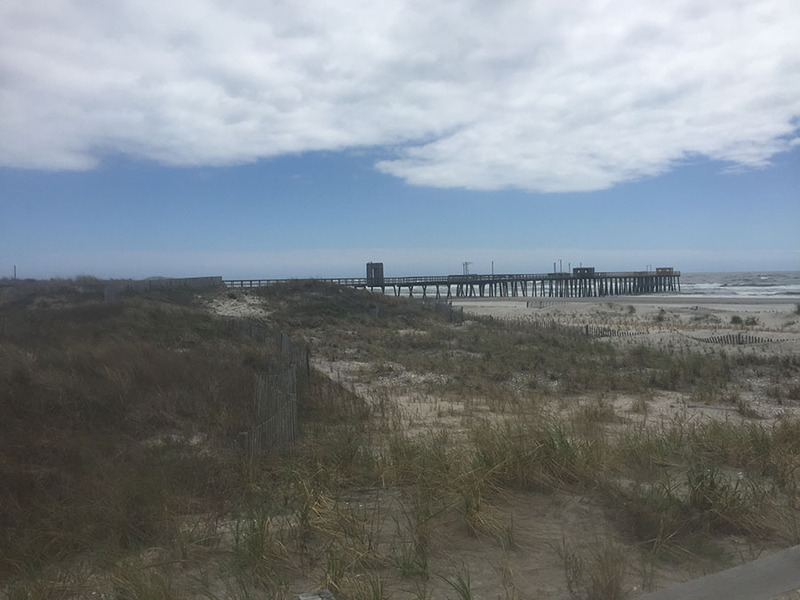 All the action takes place in Ocracoke Village which is built around Silver Lake and the salt water harbor.There are several bars, a few hotels and restaurants and countless opportunities to charter a fishing boat. The famous pirate Black Beard , aka Edward Teach, terrorized the locals for decades until he met his death on Ocracoke in 1719. The Castle B and B was built by a local character Mr. Sam Jones. The story goes that Jones had a favorite horse that accompanied him everywhere. Jones build the house to be horse friendly with extra high doorways and wide stairways so that his horse could have free roam of the entire house. Jones ran amuck of the IRS and served a couple years for tax evasions only to return to Ocracoke and continue to host all the island major social events with his trusty horse always at his side. May 6 brought the heaviest fog ever recorded to Ocracoke. The harbor was completely fogged in with visibility so limited that the ferry captain could not see the bow of his ship from the helm. For the first time in history the mainland Cedar Island Ferry was completely shut down for 24 hours. There were only 10 of us scheduled to be on the ferry that Monday and to a person we were genuinely thrilled to be stranded on Ocracoke for another night. Beautiful little place.